007 for Women* - Let's be honest and say that a 007 perfume probably isn't the first you'd pick up and smell in a perfume shop because I know I would usually just pass it by and go for the big brands. My experience with this (and Katy Perry Killer Queen) have shown that it really does pay to look at lesser known brands because I have totally fallen in love with this. The scent is 100% me; it's oriental yet fruity, the vanilla and white musk shine through combined with notes of blackberry to create a really sensual, addictive fragrance (by addictive I mean that I actually can't stop sniffing it in disbelief that it's so nice). The Fragrance Shop currently offer a 'try before you buy' scheme with this perfume where you get a sample vial to try before you open the actual thing to give you opportunity to send it back if you don't like it. Zara Oriental - Another fragrance has made it into this lot of faves because I couldn't not mention this one. It's a great dupe for Viktor and Rolf Flowerbomb at an absolute steal of a price (£9.99) and it is a massive 100ml bottle. I wear this pretty much every single day and I've had so many compliments about it so if you like V&R I strongly recommend that you get a bottle of this when you're next in Zara. No.7 Beautifully Matte Foundation - Are you sick of seeing me go on about this yet? If you follow me on Twitter you'll know that this is what I always mention when people ask 'what's your favourite foundation'. I never thought I'd find such a brilliant product on the high street which I use religiously for every occasion; it's the perfect coverage and colour and never cakes on my dehydrated cheeks which is brilliant for a foundation which stays pretty matte on the oily parts of my face. 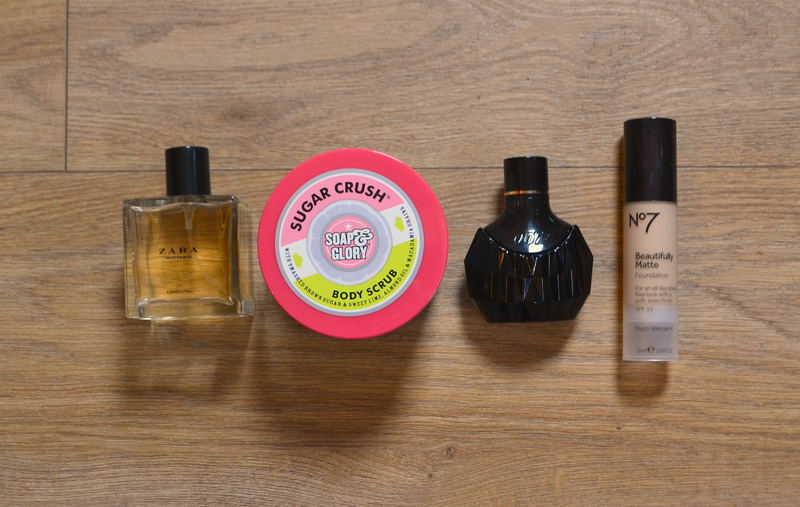 Soap and Glory Sugar Crush Scrub - There seems to be a bit of a theme to this favourites post; things that smell really, really good. I haven't yet treat myself to the shower gel but after trying this when I got it in a set at Christmas I'll definitely be going for the shower gel because this smells absolutely beaut; citrus but sweet and something I can't stop sniffing!! The scrub itself is also a great performer - it exfoliates beautifully but doesn't leave a gritty mess in the bottom of the bath; most of it seems to dissolve in the water by the time you've finished your bath or shower. 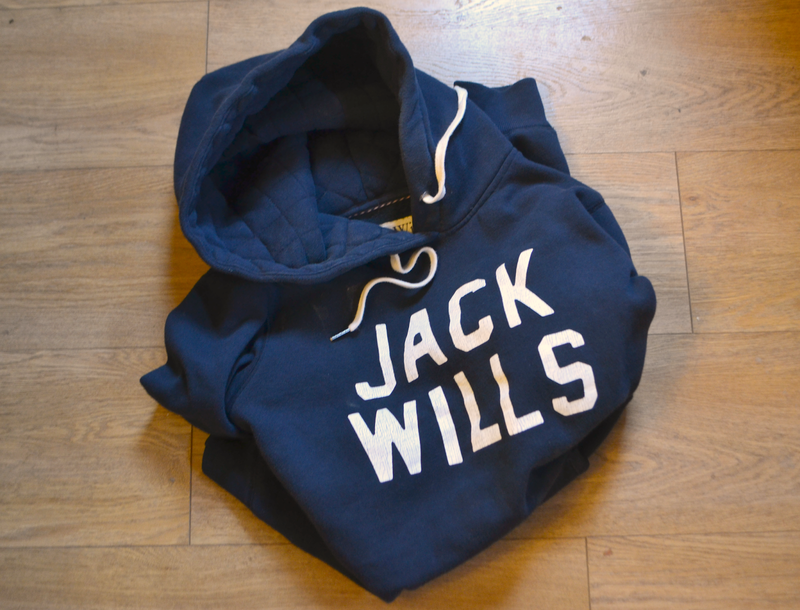 Jack Wills Hoodie - I would imagine that you'll either be a lover or a hater of Jack Wills stuff. Basically the story behind this hoodie was that I said when I lost weight that I wanted to buy clothes that I couldn't buy before (i.e. from shops that only went up to a 14) and Jack Wills came into that category. I managed to get mine for £40 in the sale just before Christmas so I didn't feel as guilty but I definitely wouldn't pay £54.50 for it and I aren't suggesting that you do it's just that it's never been off my back since I got it so I had to give it a little mention! 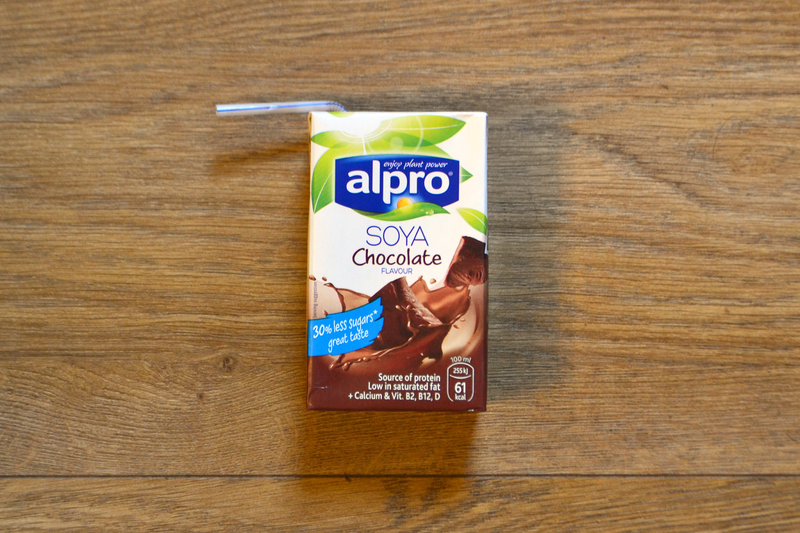 Alpro Soya Chocolate Milk Cartons - My friend Beka got me into these, I never thought I'd ever be one for trying anything that wasn't 'proper' milk because I don't have any kind of intolerance so I've never really given them a second look in the supermarket. However, these little 250ml cartons give me a sweet chocolatey fix and I can safely say I absolutely love it. Taste-wise I'd probably say that it tastes quite oaty (even though there's obviously no oats in it because it's gluten free) and considerably chocolatey even though it's less than 200 calories per carton. If you fancy trying this you should be able to find it in the non-chilled area where all the Soya products are. So there we go, five of my current favourites. 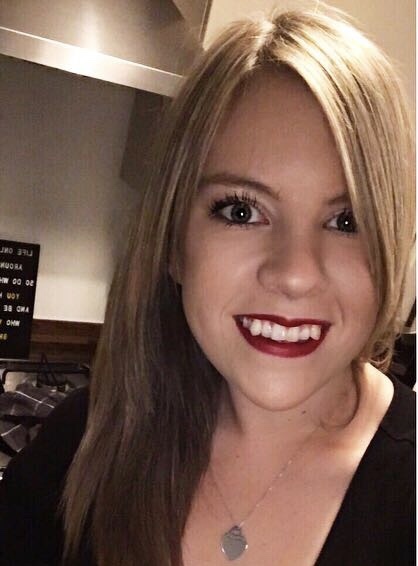 What have you been loving lately?